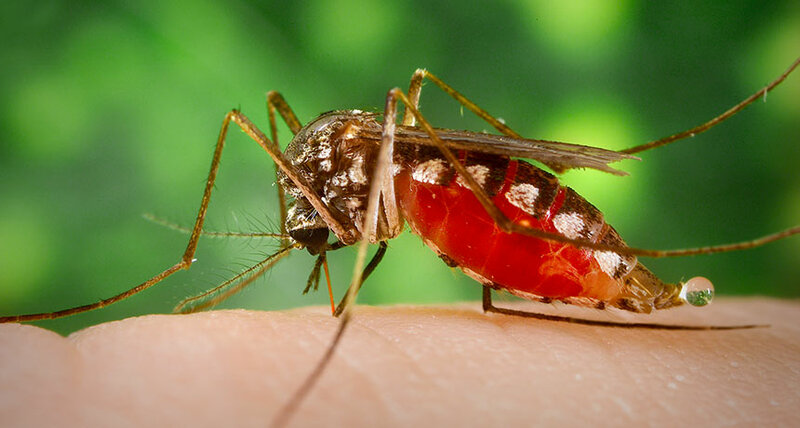 URINE FOR A TREAT Honey-laced mosquito traps let scientists test a mosquito’s excretions for viruses it’s spreading, potentially leading to easier, cheaper and safer monitoring for disease outbreaks. There are no teensy cups. But a urine test for wild mosquitoes has for the first time proved it can give an early warning that local pests are spreading diseases. Mosquito traps remodeled with a pee-collecting card picked up telltale genetic traces of West Nile and two other worrisome viruses circulating in the wild, researchers in Australia report April 4 in the Journal of Medical Entomology. The tests were based on an innovative saliva monitoring system unveiled in 2010: traps that lure mosquitoes into tasting honey-coated cards. Among its advantages, this card-based medical testing doesn’t need the constant refrigeration that checking whole mosquitoes does. And it’s not as labor intensive as monitoring sentinel chickens or pigs for signs of infection. But testing traces of mosquito saliva left on these cards comes close to the limits of current molecular methods for detecting viruses. In part, it’s an issue of volume. A mosquito drools fewer than five nanoliters of saliva when it tastes a card. In comparison, mosquitoes excrete about 1.5 microliters of liquid per pee, offering a veritable flood of material. So Dagmar Meyer of James Cook University in Cairns, Australia and her colleagues created urine collectors using standard overnight light traps and longer-standing traps that exhale delicious carbon dioxide, a mosquito come-hither. The team set out 29 urine traps in two insect-rich spots in Queensland along with traps equipped to catch mosquito saliva. When mosquitoes fell for the trick and entered a urine trap, their excretions dripped through a mesh floor onto a collecting card. Adding a moist wick of water kept trapped mosquitoes alive and peeing longer, thus improving the sample. Pee traps picked up three viruses — West Nile, Ross River and Murray Valley encephalitis — while the saliva ones detected two, the researchers report.